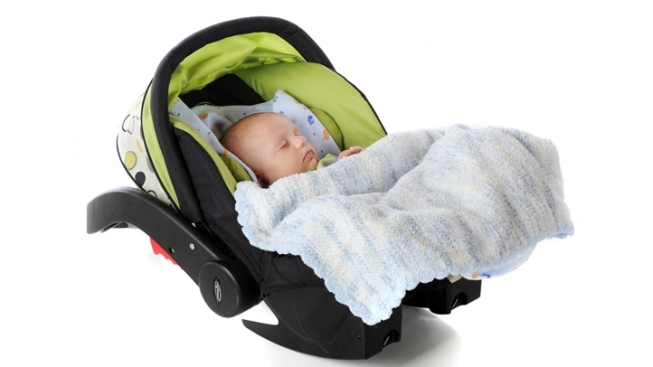 When it comes to baby carriers that can double as car seats, where should you position the handle? Up -- directly above the baby? Or down, behind the baby’s head? The National Highway Traffic Safety Administration gave us the answer. It says that it simply varies from car seat to car seat. Some seats allow the handle to be in the “up” position, while others do not. It suggests that parents follow their car seat manufacturer’s instructions. For more information about child car seat safety, visit NHTSA's website.